Is it possible? Is reversal a myth or fact? Yes, the good news is it is possible to modify the carious process. Most lesions could be arrested and prevented from worsening. 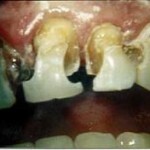 However, to achieve reversal of tooth decay the remineralisation of tooth structure need to happen. As long as the surface of tooth was not damaged, the initial decay area (enamel) will remineralize and would not need a filling. Hence, most early decay could be reversed. Bad news is, deeper decay involving dentine most likely needs a restorative procedure with the dentist. When decay reaches the dentine, the tooth will have a response to recede the sensitive pulp which contains numerous blood vessels and nerves by moving it inwards with new layers of dentine deposited. 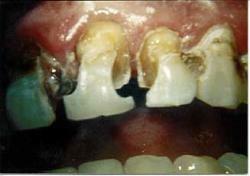 However, if the surface enamel is breached, invasion of plaque and substrate debris will further aggravate decay. 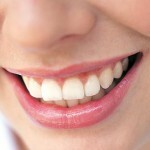 Researches proven that supplement of fluoride prevent and even reverse tooth decay. It inhibits demineralization of tooth surfaces and halt bacterial enzymes. Seafood (i.e. canned fish) and tea is the principal dietary sources of this ion. As a reversal measure done at home, we could use fluoridated toothpaste, fluoride mouthwash and even drinking naturally fluoridated water supply to counter decay. You could even consult a dentist for sodium fluoride varnish or gel application if most of your teeth are decay prone, or your child has rampant caries. However, bear in mind you should not seek this option for children under the age of 6 years. 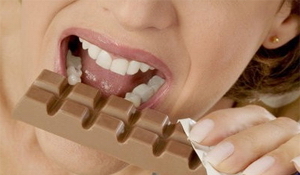 Maintenance of good oral health includes removal of plaque by proper tooth brushing, flossing and mouth rinses. Visit a dentist every 6 months to have scaling procedure done to eliminate plaque. Chlorhexidine mouthwash has been shown to have good plaque inhibiting properties as it is antibacterial. Note that staining and bitter taste could ensue with its usage. As the rule of thumb, reduce sugary consumption by the frequency and amount. This golden rule is a great solution to halt decay! If you do not feed the bacteria with substrate for metabolism, decay may be a standstill altogether. Reduce sticky, sugary carbohydrates, but take in ample complex carbohydrates. Also consume food high in fat soluble vitamins (vitamin A, D,E, K).Use nutritive sugar substitutes like sorbitol, mannitol, xylitol and isomalt. 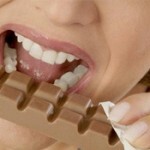 Chocholate with less sugar additives also prevent caries. Sugar free chewing gum, particularly containing xylitol. Xylitol proves to reverse decay by preventing bacterial binding and disturbance of its metabolic process. Saliva stimulating tablet, increases saliva secretion through stimulation of taste buds. Drugs like pilocarpine hydrochloride which is recommended to patients with chronic dry mouth. Calcium is needed to strengthen tooth and alveolar bone of jaw thus daily consumption of it is important. Green tea has abundant antioxidants that prevent plaque and are equipped with bactericidal properties. Most importantly it contains fluoride that reverses decay. It also helps in bad breath reduction. Most acidic beverages like soft drinks, soda, and fruit juices do erode enamel. Straw will limit contact of the drinks from our teeth and protects enamel surface. 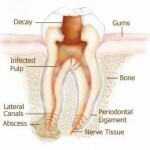 Weakening of tooth structure could lead to decay. Why is it beneficial to prevent it from the start? Prevention is always better than cure. 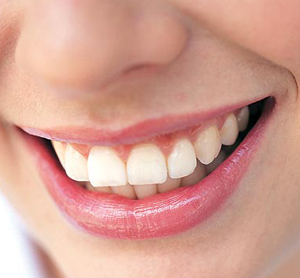 Without any initial decay, our tooth would not have to undergo a reversal process. Hence, develop good hygiene habits and work that plaque off! Also, your dentist may recommend fissure sealants in areas where a risk of caries is foreseen. A dentist consultation is always necessary to catch and arrest decay before it reaches the point of no return or when reversal is not an option. If you suspect decay by the change of colour of tooth structure (darkened brown), a cavity formed or pain experienced, it is time to pay the professionals a visit. Schedule an appointment now!